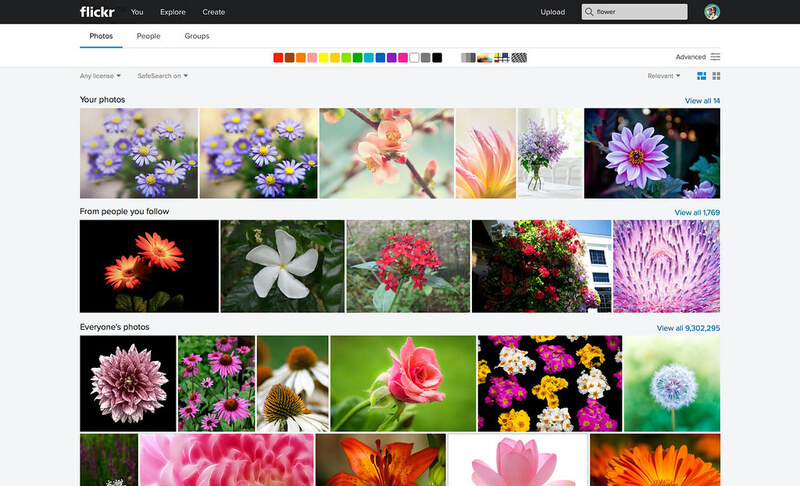 With over 10 billion images on Flickr, search is one of our most important features – and based on feedback we’ve collected from the global Flickr community, we’ve decided it’s time for a transformation. Today, we’re thrilled to bring you a new unified search experience that is intelligent, intuitive and fast. Whether you’re trying to find that special photo from last year’s family reunion or you need an image for a presentation, the new Flickr search has you covered. Just try it for yourself! 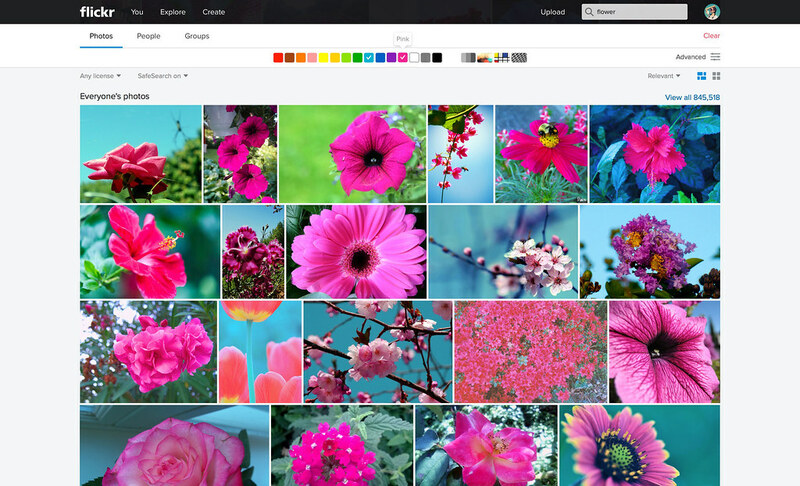 Now you can filter images by color, size and orientation. Imagine searching for panoramic flower photos with red, yellow and magenta hues – it’s really possible! Search for “London Eye” and you’ll no longer get photos of eyes in England, but find the giant Ferris wheel. Our new advanced search algorithms understand your intent and bring you higher quality results time after time. You can even search for a holiday or location – finding your favorite photo from that New Years Eve you spent in Hawaii has never been easier! Last but not least, our team of image recognition experts has built spectacular technology that recognizes the content in your images. You don’t even have to tag or label the photos yourself to make them easy to find (but the tags are easy to change and as always, your privacy settings are respected). 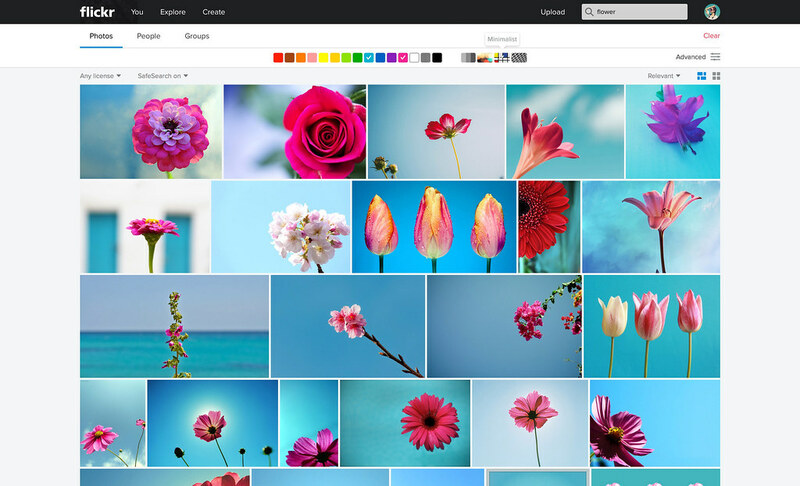 The unified view of your search results now includes different sections for your photostream, your albums, photos from people you follow, and photos from the wider Flickr community. We’ve also dramatically improved loading and scrolling performance and we give you a new thumbnail view so that you can more easily scan results. Search results for people and groups are just one click away, and you can more easily find active groups on any topic. Perhaps more than any other feature, search is never finished. With this new experience in place, we’ll continue our work to serve you the best results on Flickr for every search you can imagine. If you have issues or feedback, we want to hear from you. Please share your thoughts in the Help Forum. While looking through some of the images for “The Cube” — April’s Concept Collaboration — consider how your perspective is influenced by those around you, and what we can all do as a collective to understand, respect, and enjoy life together on this beautiful sphere we call our home.